iShine is a 25% high solids floor finish that employs patented optically enhanced polymer technology to amplify the overall gloss appearance and clarity of floors. The unique blend possesses cutting edge raw materials to form a high solids finish that provides total protection. 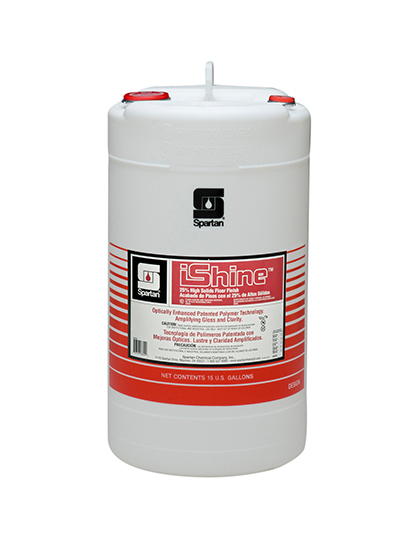 iShine is a durable finish that provides maximum protection against scuffmarks, water spots, and black heel marks.